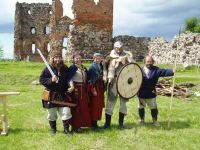 We invite you to take part in live archaeological environmental workshops together with Latgalians and guests from Germany, Belarus and Lithuania – Celts, Krivichi, Lithuanians and Finno-Ugrians! Watch exhibition shows, try your strength in military service and other skills, and watch the seizure of an ancient wooden Latgalian castle! Discover something new about our ancestors – how they lived, what they could do, what they did, how brave the Latgalian soldiers were. Learn what laws and customs ruled at that time, how people made clothes, how they played, how they protected their land, what they ate, what they grew and how they used the harvest, how they made tools for their house, hunting or fighting, how they measured time and how they celebrated holidays. Let’s celebrate Midsummer according to ancient fire rituals. Participate in the Nature School – learn about plants and twine a wreath! Enjoy going in a horse-driven carriage, playing games, nature gifts. Let’s start celebrating Midsummer together with folklore groups “Egle”, “Isnauda”, “Rīkšova and “Atvasītes”! 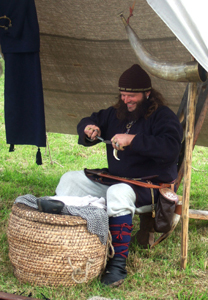 12:30, 13:30, 14:30, 15:30, 16:30, 17:30 demonstration of ancient crafts – yarn colouring, making threads and clothes, making boats, fishing nets, spoons and dishes, making soldiers’ and hunter’s weapons, competitions and a possibility to test your strength in shooting and other men’s work. 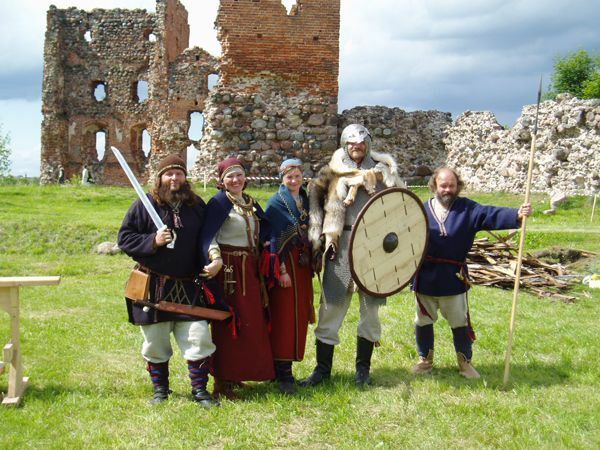 13:00, 14:00, 15:00, 16:00, 17:00 Midsummer’s songs and stories about ancient Latgalian traditions. 20:00-22:00 Celebrating the Midsummer according the ancient ritual together with the folklore group “Egle” from Medņeva. Come together with the family, enjoy, learn, taste, meet friends and have a rest!